Superb instrumentalist, acclaimed teacher of instrumental skills, gifted performer, award-winning folklorist, Ken Perlman is surely a welcome addition to any festival or concert-series lineup. Ken is both a pioneer of the 5-string banjo style known as “melodic clawhammer” and a master of fingerstyle guitar. He is considered one of the top clawhammer players in the world, known in particular for his skillful adaptations of Celtic tunes to the style. On guitar, Ken’s sparkling finger-picked renditions of traditional Celtic and Southern fiddle tunes are simply not to be missed. Click for more about Ken. Ken has wanted to start up a week-long banjo camp for years and now it’s finally happening! He’s teemed up with banjoist/professor Roy Andrade to found the East Tennessee Banjo Academy. The event will take place July 14-20, 2019 on the East Tennessee State University Campus in Johnson City, TN. Here’s what we plan to do. In the mornings we’ll run on-going classes where you study with the same instructors throughout the week. In the afternoon we’ll feature “electives” – specialized topics where you can study with different instructors each class session. The evenings will feature concerts, jams and other special events. We will feature four levels of instruction in old-time and bluegrass banjo, plus a full-time program in old-time fiddle. Click for more information. Ken has just released his latest solo CD, called Frails & Frolics on his own label, Redbud Recordings. This project is Ken’s first solo CD since Northern Banjo (2001), and his first devoted entirely to banjo. The project includes over 45 tunes, most of them collected by Ken from traditional fiddlers on Prince Edward Island, arranged on banjo to reflect all their authentic flavor and nuance, and – like jewels in a setting – expertly organized into “sets,” or medleys. There are 17 cuts amounting to over an hour of music, with an 8pp. booklet. He is accompanied on some cuts by Jim Prendergast on guitar and on others by Janine Randall on piano. Copies have just gone on sale through this website. Click here for more information on Frails & Frolics. I’m used to accompanying prominent Cape Breton and Prince Edward Island fiddlers, but I never miss having a fiddler around when I play with Ken Perlman. Ken seamlessly plays marches, jigs, strathspeys, and reels in the PEI and Scottish Cape Breton style on banjo that includes all the rhythms and grace notes of a seasoned master fiddler. Click here to order a copy; or, download individual cuts (or the entire project) on your device via CD Baby. Ken Perlman plays an astonishing selection of tunes which any self-respecting clawhammer player knows are impossible to play on the banjo. That is to say, Perlman is obviously a wizard, using spells and incantations to conjure up these tunes which are too difficult for the average player to contemplate and yet he dashes them off with verve, joie de vivre and above all, great musicality. 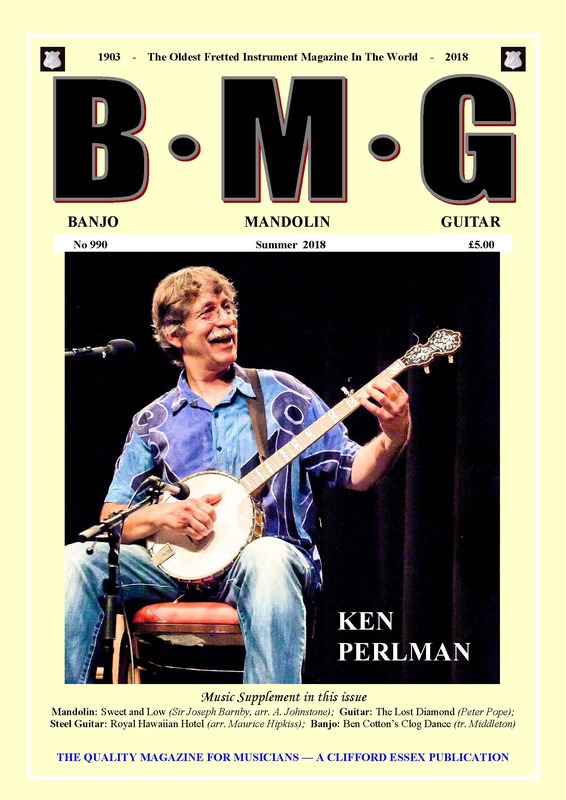 About BMG: BanjoMandolinGuitar is the world’s oldest fretted instrument magazine, founded in 1903 by British banjo builder Clifford Essex; it has subscribers all over the world. Ken was just interviewed by renowned banjoist/fiddler and radio personality Paul Brown on his new show Across the Blue Ridge. Ken talks about his new recording “Frails & Frolics,” his folklore work on Prince Edward Island Fiddling, and the close relationship between the fiddling traditions of Canadian Maritimes and the Appalachians. Paul plays a couple of cuts from Ken’s CD and several field recordings of fiddlers from PEI, along with contrasting versions of similar tunes by Southern musicians. Click here to access Ken’s interview on Across the Bluegridge Show. The show is about an hour long; the interview starts at about 38:00 on the fader. Ken was just interviewed on the afternoon-drive Mainstreet Show by host Angela Walker. In a 15-minute segment Ken talks about the background of his interest in Prince Edward Island fiddling, and describes some of the challenges of putting the project together. Angela also play a couple of cuts from the recording. To listen in, here’s the link. The life and musical legacy of renowned Appalachian-style fiddler & folklorist Alan Jabbour (1942-2017) was celebrated at the Library Congress on Thursday, January 18. The event featured a reception, brief presentations re Alan’s accomplishments and legacy by Carl Fleishhauer, Stephen Wade, and me, and a jam session (led by Bertram Levy and me) devoted to the well-known old-time tunes that Alan collected from Henry Reed and other Appalachian fiddlers. When we arrived about 150 chairs were set up, but by the time the reception was well underway it was clear that they’d probably have to set up another 150 to seat all the folks. As I got up to talk about Alan’s musical influence I recall feeling quite nervous because so many important people in the field of folklore were in attendance. Presenting turned out to be a heart-warming experience and I was able to use Alan’s own words, stories and – via the magic of Powerpoint- recorded excerpts to paint a picture of his musical life. The jam session was particularly magical; there must have been 50 old-time musicians there to give Alan a good sendoff!! An excellent Video of the Entire Jabbour Legacy Event has been prepared by the LOC, and was recently posted on Youtube. My presentation appears from 30:46-52:15. Ken will appear and teach at Fiddle Hell in Westford MA, an event which obviously is “not just for fiddlers.” His schedule and teaching offerings have not yet been set, but will eventually appear on the Fiddle Hell website. In 2017 he offered a few workshops on clawhammer and taught a few Prince Edward Island tunes to a room full of mostly fiddle players. Along with Alan Kaufman, he led a jam devoted to tunes collected by late fiddling great Alan Jabbour (Alan Kaufman and Ken performed one of Alan Jabbour’s tunes at the faculty concert). In 2016, Ken served as a judge at Clifftop for both the banjo contest and the neo-traditional band contest. Ken signed recently with Mel Bay to do a new tab/instruction book called Old-Time Appalachian Fiddle Tunes for Clawhammer Banjo. Ken draws on several decades of experience as a player and arranger to create authentic note-for-note settings of over 100 exquisite tunes. He also plans to devote a chapter to old-time backup, in the style he developed while touring with the late Alan Jabbour. Ken and renowned West Virginia fiddler Bobby Taylor toured together as a duo in March 2017 in Kentucky & Tennessee. Bobby “apprenticed” with roots legend Clark Kessinger, is considered one of the finest old-time fiddlers around, and is a founder of the Appalachian String Band Festival (commonly known as “Clifftop”). On the itinerary were East Tennessee State University, Union College, Middle Tennessee State and a music school called Fiddle & Pick. 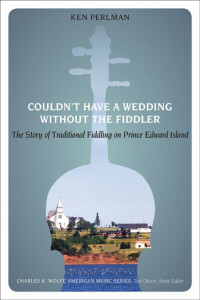 Couldn’t Have a Wedding Without the Fiddler: The Story of Traditional Fiddling on Prince Edward Island was published in 2015 by University of Tennessee Press, and copies are now available through this site and elsewhere. Note: Couldn’t Have a Wedding is now available in digital format via “Kindle” on amazon.com, and through e-books. 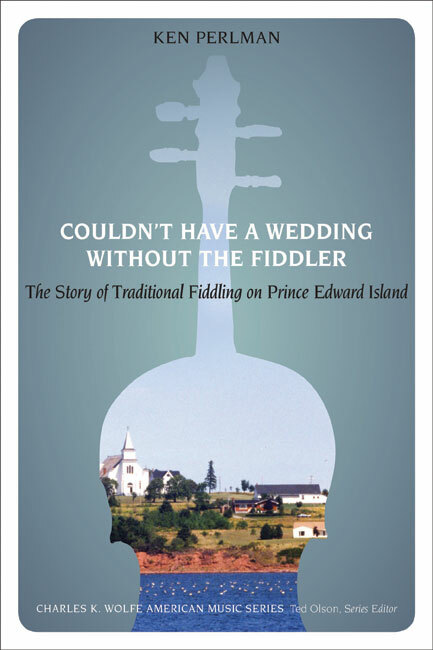 Through narrative and the fiddlers’ own words, Couldn’t Have a Wedding brings the world of traditional fiddling on P.E.I. to life, covering such areas as dance parties and celebrations, attitudes and stereotypes about fidding, traditional music and community life, methods of learning, playing styles and repertoire, effects of contests and media, the decline of fiddling in the decades following World War II and the subsequent fiddling-revival movement. 462pp. [A]n amazingly comprehensive study of fiddling within its historical and social contexts. Perlman provides a history of fiddling on Prince Edward, blending this chronology with in-depth presentations of the social context for music making. The fieldwork integrates oral history with folklore and ethnomusicology in a method that is both extensive and intensive. [H]e gives us a nuanced portrait of the role of the fiddler. . . his treatment of genre and repertoire is especially strong . . . [and] his analysis of dance in its relationship with fiddling is one of the finest treatments that integrate dance scholarship with folklore and ethnomusicology. His work will stand as a model not only for additional studies of old-time fiddling but also for those who wish to continue this integrative research approach for studying a range of other musical traditions.
. . . a wonderful accomplishment, a landmark portrait. . . Very clearly a labor of love . . . a terrific accomplishment. It is methodical, based in deep knowledge and experience, well-written, and clearly very caring. [This is an interesting and worthwhile book. . . [it] is essentially an ethnography, roughly arranged in topical and chronological order, and like all important ethnographies, it is very thorough. . . Each topic is backed up by multiple interviews and cultural context . . . From his vast constellation of details, the author successfully organized coherent topics and chapter headings that are a tour de force of information organization. Readers who share my fascination with choreology will be especially pleased to read about the place of dance in his examined fiddle world. The dance information in one particular chapter is so detailed that it would be entirely possible to reconstruct a dance or two, along with the music that would have been played by the fiddler. . . This book needs to be in the libraries of every member of the CSTM [Canadian Society for Traditional Music], and I believe, every undergraduate and graduate music student in Canada. It is the newest member of the Canadian music canon. . . In sum, Enjoy! (Norman Stanfield, Canadian Folk Music). This is a major piece of work which deserves wide attention . . . a must read. It is good for a general reader but beyond that I think that it should be required reading for anyone involved in what might be termed ‘folk development.’ There was a lot in the book that caused me to think and reassess some of my own opinions. At a time when many of our traditions are increasingly in the stewardship of people who might be better defined as ‘arts professionals’ than cultural insiders, this book may serve as a stimulus for them to be more inclusive. This book has set an incredibly high standard and is a credit to Ken Perlman. This is the crown jewel of Perlman’s extensive research of the fiddling on Prince Edward Island. . . The fall of and the revival of a traditional art are revealed. Fiddlers talk about their art and reflect on what it means to be a fiddler, the challenges of fiddling, and the changing role of fiddling on the island. Fine photographs put faces to the words. We learn about a people and their values. To read this book is to visit with these people and even though they are far removed from the Southern mountains, their lifestyle was and is very similar. Click here for more information on Ken’s new book. Click here to order a copy. So who should buy Ken Perlman’s book? Ethnomusicology instructors in Canadian universities and elsewhere looking for Canadian musical ethnographies. They will be able to access a “local” musical scene to balance the “global” perspective they are mandated to deliver. Academics and cultural brokers who want to identify an Intangible Cultural Heritage within Can­ada. I.C.H. is a new imperative promoted by UNESCO as an adjunct to its World Heritage sites. As near as I can tell, the fiddle is our most likely candidate. And all the source players in Canada need a hand to maintain their heritage. It’s interesting to note that P.E.I.’s fiddling I.C.H. was documented by somebody “from away”, despite the active presence of Canadian music folklorists and resident ethnomusicologists. I wonder how that happened! Historians and history buffs who want to fill out their understanding of Canada’s history by using the familiar medium of music. Although the material is unique to P.E.I., many of its general descriptions of fiddling are relevant across Canada. Young fiddler hobbyists who want to place their jigs and reels into a cultural context. For example, Perlman’s descriptions of the nature of revivals will make many of them look at their fiddles in a new and sobering light. Budding authors and movie-makers looking for material and stories, both real and fictional, to evoke Anne with an “e” [of Green Gables], but with music at its core. The story behind the Concerto. 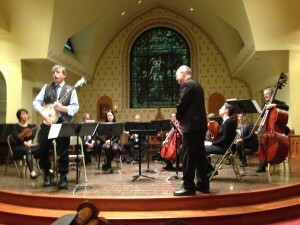 Several years ago, noted contemporary composer Harold Schiffman – himself an avid student of the 5-string – wrote a concerto in three movements for clawhammer banjo and orchestra. Mr. Schiffman wrote the piece with Ken in mind to play it, and Ken debuted the work in New York City in February 2014 with Max Lifchitz’s ensemble, then known as the North/South Consonance. According to the composer, “the three-movement Banjo Concerto is cast in a traditional fast-slow-fast pattern. Inspired by Appalachian’s melodies, the work’s musical language recalls Baroque-era lute music while offering the soloist ample opportunity for technical display.” The really cool thing about this Schiffman Concerto is how the open-back banjo holds its own as a non-amplified solo instrument in a classical ensemble! A lot of people happily describe the piece as “charming,” which it is!! A formal recording of the Concerto has been made and presumably it will be released on a CD in the near future. Meanwhile an informal video recording of Ken’s performance can be accessed on his Facebook page; just click on this link and scroll down till you find it. 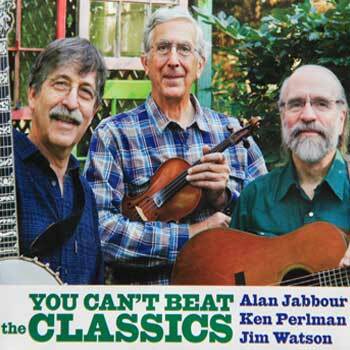 The great Appalachian-style fiddler Alan Jabbour passed away at his own home in Washington DC last January. Alan and I toured together for fifteen years, from the summer of 2000 until the state of his health intervened in the fall of 2015. From the moment he touched bow to string and we started playing together there was a strong musical affinity – an uncanny blend of fiddle tone with banjo tone, along with the sharing of sensibilities and tastes. His approach was strong and powerfully rhythmic, but fully lyrical and delicately phrased – even “charming.” As soon as I heard him interpret a tune – even one I had heard around the “scene” for years – that instantly became the definitive version for me, and one I fully wanted to emulate. He inspired me – not only to learn many dozens of his tunes note-for-note – but to develop a whole new way to accompany them that fit his style like a glove. This melding of fiddle and banjo can still be heard on several youtube clips, our CD Southern Summits, and – joined by Alan’s old friend, guitarist Jim Watson – on You Can’t Beat the Classics. PEI Fiddling Website, Bowing Down Home Now Online!! The PEI Traditional Fiddling Website (known as “Bowing Down Home“), based on the field recordings Ken collected in 1991-92 and 2006 has just gone up on line. There are well over 1500 musical selections and 400 oral history selections available on the site, hundreds of photographs and video clips, and a host of expository materials. Bowing Down Home is hosted by the Robertson Library at the University of Prince Edward Island in Charlottetown and was constructed by Rosie Lefaive and a team at Robertson under the leadership of Mark Leggott using a state of the art program called Islandora, which was pioneered at UPEI under Mark’s direction. The URL is bowingdownhome.ca. Ken has a selection featured on a new anthology called Classic Banjo from Smithsonian Folkways. Since the CD also features the likes of Pete Seeger, Mike Seeger, Hobart Smith, Wade Ward, Dock Boggs, Rufus Crisp, and Roscoe Holcomb (not to mention such contemporary bluegrass wizards as Bill Keith and Tony Trischka) this is quite an honor. Ken’s book, Advanced Fingerstyle Guitar, was included in a book by Shawn Persinger called The 50 Greatest Guitar Books (Quixotic Music Co.). 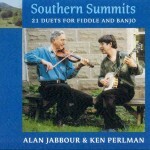 Southern Summits: 21 Duets for Fiddle & Banjo is a joint project with fiddler Alan Jabbour. Alan and I started playing together in Y2K while both were on staff at the Rocky Mountain Fiddle Camp in Colorado, and that eventually led to a quite a number of joint concerts, tours and this recording project. This CD accentuates the lyrical and whimsical nature of Southern fiddle tunes through the elaboration of the fiddle-banjo duet. The repertoire is drawn primarily from Alan’s collecting work with West Virginia fiddler Henry Reed and Reed’s contemporaries. Along with the usual complement of hoedowns and fiddle-rags, it also includes waltzes, marches, schottisches and quicksteps. I see my own role in the recording as the culmination of a lifetime of playing with fiddlers from a variety of traditions. Sometimes the banjo plays “traditional” back-up, sometimes full or partial melody, sometimes close harmony, sometimes counter melody, sometimes piano-style bass lines, and on and on. We hope you enjoy listening to these arrangements as much as we enjoyed putting them together. To order, visit our CDs page. Ken’s crystal clear clawhammer ably supported by some great “north country” musicians on guitar, bass, fiddle, viola, mandolin, uilleann pipes, flute, whistle, bouzouki and percussion, PLUS three of Ken’s patented fingerstyle guitar solos. For description, contents and to hear some sample excerpts click the CD cover or title above. The project includes an eight page annotated booklet with notes on all the tunes, banjo and fiddle tunings, and more. To order, visit our CDs page. 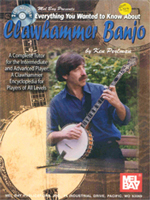 Ken’s newest book is entitled Everything You Wanted to Know About Clawhammer Banjo. 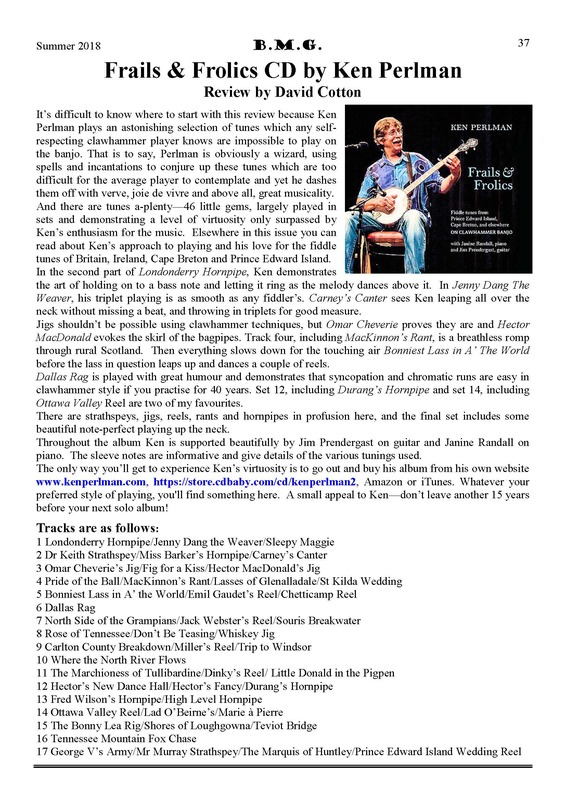 “Everything You Wanted to Know” is based on over twenty years of his columns in Banjo Newsletter and includes – along with a considerable amount of instruction and observations about the style – about 120 tunes, along with numerous exercises and musical examples. The chapters are organized as follows: basic techniques; advanced and experimental techniques; how to approach various kinds of fiddle tunes; how to approach various other musical genres; how to deal with accompaniment and backup; tunings; setup; banjo and old time music history, etc. All tunes are illustrated on two companion CDs. The price is $29.95, plus shipping. To order, visit our Banjo Instruction page. This inspirational, highly influential book features about 55 tunes in clear tablature, all illustrated on its new companion CD. Also includes instruction, exercises, musical examples, historical notes, technical illustrations and period photos. 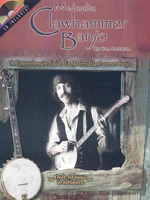 Price: $19.95 To order, visit our Banjo Instruction page. Contact him via phone or his normal email address ken@kenperlman.com. Ken’s playing is without peer. The smoothness and clarity of attack with which he presents these highly complex and ornamented tunes is simply magnificent. The arrangements, featuring expert backing while always placing the banjo out front, are wonderful. On first listening to Ken Perlman’s exquisite new recording, Northern Banjo, I was struck by the fact that no one on the earth could have created this recording except him. It is a tour de force bringing together Ken’s exquisite melodic technique on the banjo, along with his tireless decade-long research into the music of Prince Edward Island. 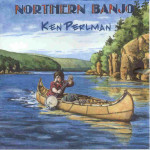 Northern Banjo is a richly woven tapestry… Perlman showers the tunes with notes that are thrown off his banjo as brilliantly as sparks from a fire-works sparkler. Northern Banjo is an album that anyone who loves old fiddle tunes, fine banjo playing, or just good music should thoroughly enjoy. Impeccable clarity. Every note is brilliant… these tunes, executed in meticulous manner, will captivate and demand your utmost respect for the skill level required. Most Excellent. Bluegrass Unlimited Mr. Perlman has done an exquisite job of taking the banjo where no one has gone before. Here is a recording that has full marks for presentation of instrumental ensemble music. .. this 53- minute CD is a masterpiece… Perlman’s respect for the fiddle traditions of Atlantic Canada should not go unnoticed, nor should his particular field work in PEI. All of this shines through on the recording… this work has delightful power!